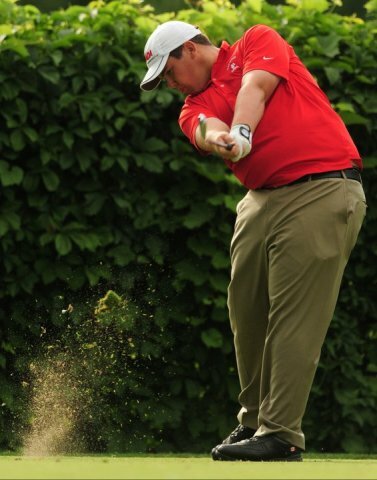 Freshman Jake McNulty started playing golf competitively just three years ago. RICHMOND, Va. – Although he’s a year early, Jake McNulty may be right on time. McNulty, a 17-year-old freshman, will be the No. 1 golfer in VCU’s lineup Sept. 15-16 when the Rams open the year at the Tar Heel Intercollegiate tournament in Chapel Hill, N.C. McNulty earned the No. 1 position after winning VCU Coach Matt Ball’s six-round (108-hole) qualifier. It’s a remarkable development, given that McNulty wasn’t even supposed to be on the team a little over a month ago. A native of Port Perry, Ontario, where he participated in a Canadian Juniors program led by former VCU great Reg Millage, McNulty was Ball’s top recruiting target for 2013. Although he graduated from Port Perry High School in 2012, McNulty had planned to wait a year before enrolling in college, due in large part to his age. But on July 30, Ball says he was informed that top golfer Marc Dobias would not be returning to the program, so he reached out to McNulty to see if he would be interested in VCU this year. McNulty visited the Richmond campus on Aug. 12 and committed the same day. He returned for good on Aug. 20. Matt Ball Jr. didn’t exactly finish his first round of golf with a flourish. Matt Jr. doesn’t remember that round or the subsequent nap, but he’s been playing golf as long as he can remember. 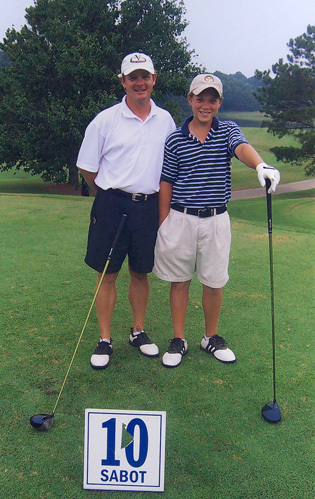 When your dad is a golf coach, it only seems natural to find a home on the links.